The other day I posted by best read list of 2016. (Click here if you missed it.) As I mentioned in that post, I would be posting a separate list of the short stories that stuck in my reading for 2016. That’s what today’s post is all about. I gave you all the stats last time. To repeat the short story stats, I read 113 of them and they totaled 2653 pages. And those I read in audio totaled just under 22 hours of listening. Again, I don’t like to “rank” my favorite stories. So this is list isn’t in any order. I just plucked them off my spreadsheet and the order is whatever it is. I also want to make clear that narrowing down 113 stories isn’t easy. They’re not all 5 star reads. Some 4 stars can be better than 5 stars when you recall them. Ratings aren’t always the definitive stat to go by. One more thing: They’re not all short stories. Oops. And not oops. Because there’s no law about the length of a short story, novella, novel, etc, some stories in this list are actually novellas. Some may be marketed as a novella but feel more like a short story. I didn’t get picky. They’re just not novels. That’s fairly easy to figure out compared to story/novella. And for those authors out there reading this, this could be a good list for you to pay attention to if you have a story in need of reviews. In 2017 I’m only accepting short story/novella requests, as my review policy says right now. Just putting that out there. And for everyone else, check some of these out. Read them. Share them with others. And share your favorite stories of 2016 in the comments. I also have a poll for favorite reads of 2016 linked below. Please participate! You all know that I’m possibly the BIGGEST fan of S.M. Boyce’s Grimoire Saga. And for those who are fans, like me, you may be sad (and VERY EXCITED) that in November the 4th and final book of the saga will be released. What will we, the fans, do once we finish reading Illusion? Well, that’s what I’m helping inform everyone about today! 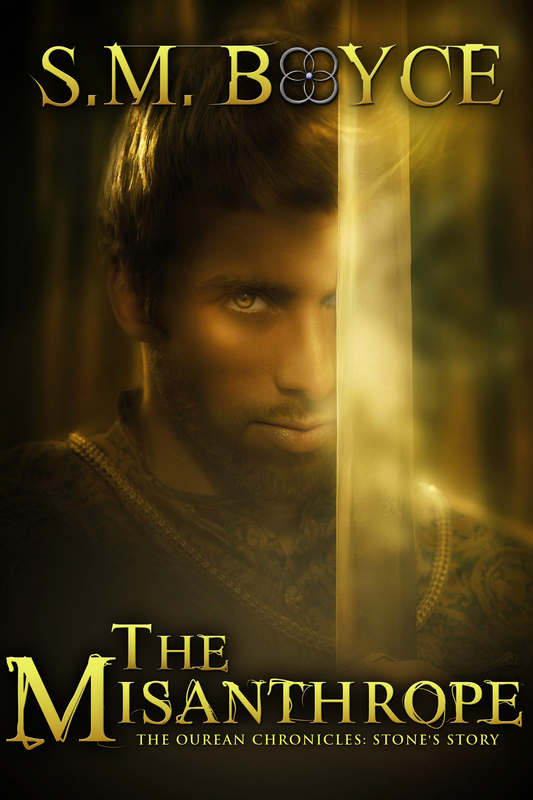 Starting in later 2015, Boyce will be releasing three companion novellas to the Saga called The Ourean Chronicles. They’ll details events in the lives of three characters from The Grimoire Saga: Stone, Cedric, and Deidre. 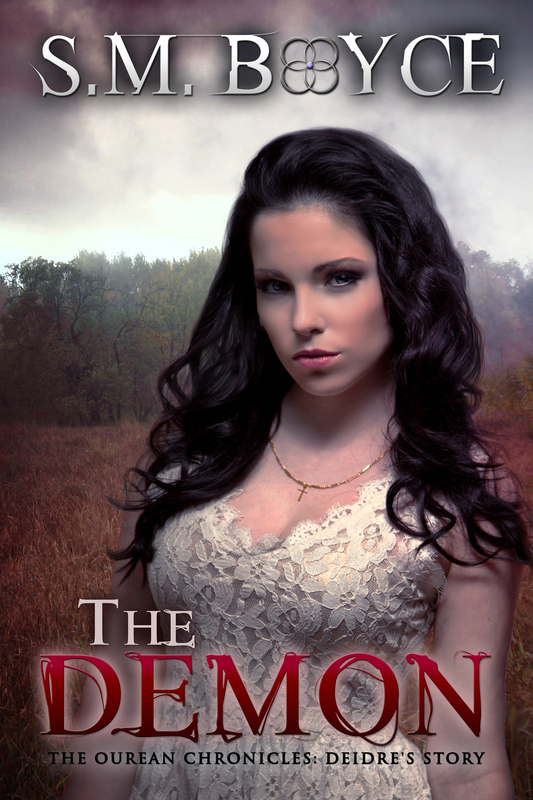 Deidre has lived her life with blackouts—moments of evil she can’t control or remember. 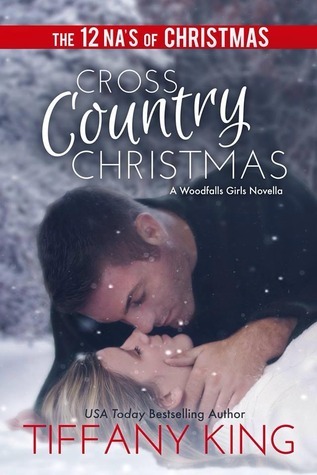 She hates herself enough as it is, but her life snowballs out of control when a foreigners named Niccoli comes to town. In one heartbreaking night, she loses everything—including Michael. And it’s Niccoli’s fault. If you haven’t already read the Grimoire Saga, start out with Lichgates (Grimoire Saga #1). It’s available for FREE through your favorite online retailers. The Ourean Chronicles will be your new lichgate into Ourea after you read Illusion, the final book in the Grimoire Saga, which will be released November 4th. Get updates by joining the tribe. It’s been awhile since I’ve read a book with vampires. I don’t always find much exciting about the genre, but Parkerson was able to write the mythology of these vampires, werewolves, and other creatures in an interesting way. I liked the idea behind how the creatures came to be, and how/why The Society of Sinners itself was set up. It adds a better depth to the story than just having all these characters with abilities and leaving it simply as that. This also helped in the development of the characters and their histories. I also found it interesting that the novel was split into 5 separate, but connected, stories. At the heart of it, these are 5 stories about the pairing off of various characters, as well as way to introduce bits of the ongoing plot for the next stories to build on. This worked well, though I found that it allowed some events to become predictable, as the stories had obvious similarities with the romance. But all in all, the first four stories were great and built up a nice story. I didn’t feel the same way about the 5th story though. It takes place about 25 years after the others (which occurred in a much shorter time frame, all together). This alone sets it apart from the rest of the book. It also doesn’t really build off of the rest of the book directly; it’s a side story in a way. Though, I can see how it’s possible that the conflict could lead to the next book in the series, I felt this was a self-contained, unrelated occurrence. Looking back at the characters, I do feel that they were developed nicely, even if there was too much insta-romance for me. It still fit in with the idea of fate/destiny/a bigger picture that is a factor in their world. Now that the characters have been set up, their relationships established, and some hints at a bigger conflict thrown at me, I’m anxious to see where the other books of the series take the story. It was nice to read a novel from this author, while in the past I’ve really only read short stories. The end of 2013 is upon us, and so is the end of my second full year of blogging (serious blogging. This thing’s been up since something like 2009 technically). Like I did at the end of 2012, I’m taking the time to summarize the year, somewhat. I set a goal of reading 200 books for 2013, well, I ended up surpassing that number. I’ve read a total of 273 books this year. But please, before you freak out thinking I read A LOT, remember this, GR counts any book entry as a book. It could be a 3 page story or a 1000+ page epic novel. So, I really don’t hold that 273 book count as an achievement. BUT, GR also has another stat that I DO think is a more accurate way to measure my reading accomplishment. While I’ve read 273 “books,” GR has added up all the page counts of the books I’ve read and put it into a nice large number for me. In 2013, I’ve read just about 23,000 pages (Being a GR librarian, I’ve done my best to make the books I’ve read as accurate on page count as possible, but a few, like the audiobooks I’ve “read” don’t have real page counts. This 23k is an approximate value based on what GR counted for me.) How does this compare to 2012? According to GR, I read 153 books (which many of which were novels, compared to this year) and just over 13000 pages. Now that that’s over with, let me finish out this post. What’ll 2014 bring with it? Well, there are going to be some changes here on A Life Among the Pages. Don’t worry, I’ll still be here, but I’m hoping to be here more often. I want to be blogging more, like I did last year. I want to hopefully get the Authors We Love and Aged Pages posts started back up again, as well as Prose Verse Babel. Hope everyone’s year is off to a great start! You’ll be hearing from me sooner rather than later, so don’t be strangers! “Destined for love, Calum and Kate will do anything to be together. With Kate trapped by a curse in Ashfall, Calum must find a way to save her before she is lost to dark magic. Before she is lost to him and the truth of their love is gone forever. Even if it means sacrificing himself, Calum will choose to keep Kate safe. And you don’t have to wait until 1.28.14 to get started! Enter the INTERNATIONAL giveaway below for a chance to win the Legend of the Dreamer e-book of your choice! Check out The Witch’s Curse, the stunning and romantic novella that reveals Kate’s history. Zack is fearless, but he wasn’t always. Read The Warrior’s Code and learn more about his past. All two novellas, The Witch’s Curse and The Warrior’s Code, are included in the Shades of the Stars anthology, along with an exclusive short story about the fire enchanter Lily. This enchanting anthology also features essays, playlists, deleted scenes, and an author interview. David James writes books about stars and kisses and curses. He is the author of the YA novel, Light of the Moon, the first book in the Legend of the Dreamer duet, as well as the companion novellas, The Witch’s Curse and The Warrior’s Code. A Legend of the Dreamer anthology, Shades of the Stars, was released July 2013, and includes the exclusive novella, The Enchanter’s Fire. 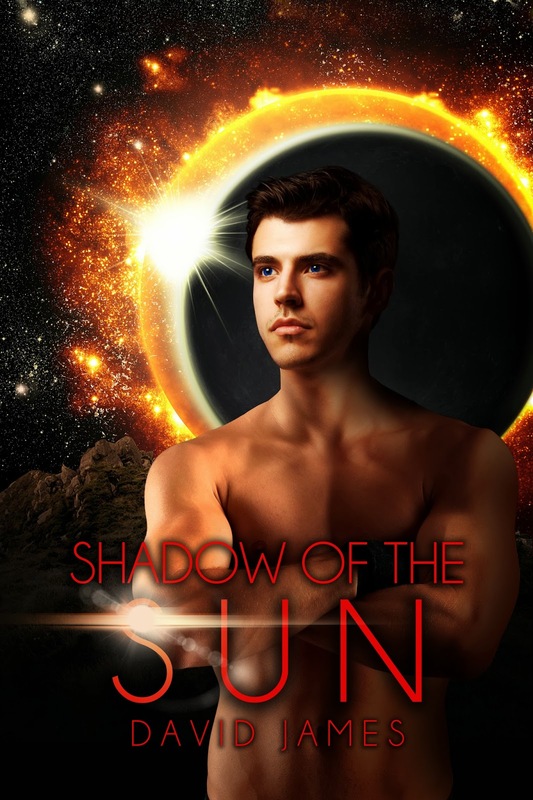 The final book in the duet, Shadow of the Sun, will be released in January of 2014. Living in Michigan, he is addicted to coffee, gummy things, and sarcastic comments. David enjoys bad movies, goofy moments, and shivery nights. 12 New Adult Novellas. 12 Best Selling Authors. November 1, 2013. If you need any convincing about this novella, here’s my review of it from the ARC I read. USA Today Best Selling author, Tiffany King is the author of the Young Adult titles: The Saving Angels Series, Wishing for Someday Soon, Forever Changed, Unlikely Allies, Miss Me Not, and Jordyn: A Daemon Hunter Novel book one. She also has a New Adult title called No Attachments.